JUST SOLD IN COMPETING OFFERS in JUST 4 DAYS! 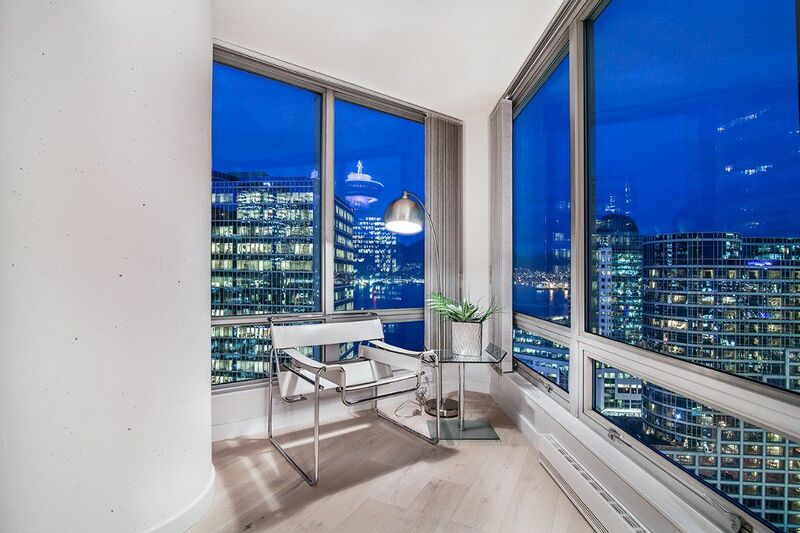 Rarely available & highly desirable '01 water-view unit at the Terminal City Club Tower. This fully-renovated, front-side, corner unit boasts 2 bdrms & 2.5 baths (both bdrms w/ensuite baths), spacious living areas & captivating views over Burrard Inlet & the N. Shore Mountains from every room. Light airy colours throughout, washed-oak floors, brand new kitchen w/stone counters, stainless appl's & under-cabinet lighting, cozy gas f/p, expansive master suite w/luxurious 5-pc bath w/lrg soaker tub, separate seamless shower enclosure. 1 pkg + 1 locker incl. Pets/Rentals ok. Become a club member & enjoy all Terminal City Club restaurants, pool, fitness centre & amenities under one roof. Start your Year off right and Live the Life in the heart of Downtown! OPEN HOUSES CANCELLED! !